From her love of fantasy fiction to her passion for helping writers improve their craft, there's a lot we at Writer's Edit have in common with writer and creative entrepreneur, Kristen Kieffer! Kristen runs Well-Storied, a hub of writing advice articles, resources and courses. She also writes her own fiction and manages a flourishing online writing community. 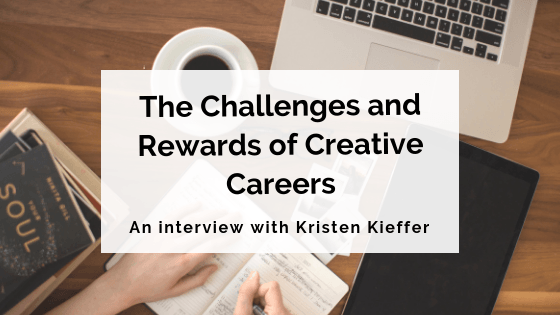 We recently had a great chat with Kristen about everything from fighting impostor syndrome to the challenges of running your own full-time creative business. Thanks for your time, Kristen! We're all about helping people forge independent creative careers. As a creative entrepreneur, can you tell us how you've turned Well-Storied from a passion project into a viable career? Well-Storied has always been a passion project, but it’s also something I did begin with the intent to turn into a side hustle. At the time, I was a full-time student working a nearly full-time (and highly stressful) job as a barista, and I just wanted to get out. Writing fiction was my escape from reality, but I began Well-Storied in the hope of escaping my day job while also doing something I’ve always wanted to do: build community with fellow writers. To my immense joy – and honest disbelief – Well-Storied (which was called She’s Novel at the time) took off after about six months. About a year later, I was able to quit my day job and begin investing in Well-Storied full-time. Throughout all of this, I fought hard to find a balance between people and profit. I never wanted to treat my blog readers as numbers on a sales chart, but I also wanted to make some form of a living. Over the next two years, I’d experiment in selling many types of paid resources, experience unexpected highs and lows, make a good share of mistakes and apologies, and finally begin to find my groove. It’s been a journey, to say the least! We've often talked about the importance of being part of a writing community. How does this come into play with Well-Storied? Oh, community is everything! I found the online writing community shortly before I began Well-Storied, and never before had I felt so connected and understood – at least as far as my love for story goes. After blogging for a while, I began to notice a pattern of isolation in the emails and comments I received from other writers. They’d found Well-Storied, but they hadn’t yet discovered any interactive online writing communities for themselves. That’s why, when fellow writing blogger Jenny Bravo wanted to collaborate in hosting a Twitter chat for writers, I jumped at the opportunity. #StorySocial became a weekly meeting place for our blogs’ readers and we loved (and continue to love) the community that built up around the chat. I’ve gotten to know so many wonderful writers more personally this way! In time, I realised that a good portion of Well-Storied’s readership wasn’t active on Twitter, so I decided to begin a new Facebook group: Your Write Dream. I’ve had so many similar experiences in that group, and I’m so humbled by the amazing community it’s become. If you’re a writer who hasn’t gotten involved in the online community yet, please don’t hesitate. How do you balance creative writing with running the Well-Storied business? At times poorly, I confess! Though I’d love to one day write fiction full-time, Well-Storied is my priority at the moment. It’s what pays the bills, and so it must come first. But it’s also very mental work, and there are many days when I just don’t have enough energy to pour into my fiction after writing for Well-Storied. I used to guilt myself for this endlessly, which made me begin to equate my fiction work with shame. I no longer looked forward to sitting down to write. Now, I tell myself that it’s okay to take your time and to write when doing so doesn’t lend itself to mental burnout. I don’t need to write every day. I don’t need to publish now. I need to love my writing life first and foremost, no matter its imperfections. What are the three biggest lessons you've learned over the past few years of writing and running Well-Storied? Ooh, good question. Firstly, I’d say, that a successful business owner knows her people and treats them with respect. My biggest regret so far was in creating a high-priced video course that only a tiny portion of my readership could afford. Sure, it turned a decent profit, but to do so, I sacrificed something I valued dearly: my investment in my readership. I put profit over people – and broke the trust I’d built with my readership as a result. Secondly, that success doesn’t happen overnight. Not that I ever expected it to, but more than three years into running Well-Storied, I’m still building toward my income goals and true financial independence – and I know that this version of success will also be something I must continue to cultivate and maintain even after I reach it. Thirdly, I’ve learned to find and stay true to my voice. I didn’t have an identity as a blogger when I first began, so I spent my first several years in the game swinging wildly between voices. For a while, I believed no one would take me seriously if I didn’t present myself as an expert and write with an overly formal tone. Then, I felt like I wasn’t connecting and feigned a sort of 'cool girl' voice that was also so not me. It’s been a process, but in the past year, I’ve finally fallen into my own identity as a writer and blogger, and it all began with deciding to just be myself. What do you find are the biggest challenges of a creative entrepreneurial career? There’s no handbook for this! 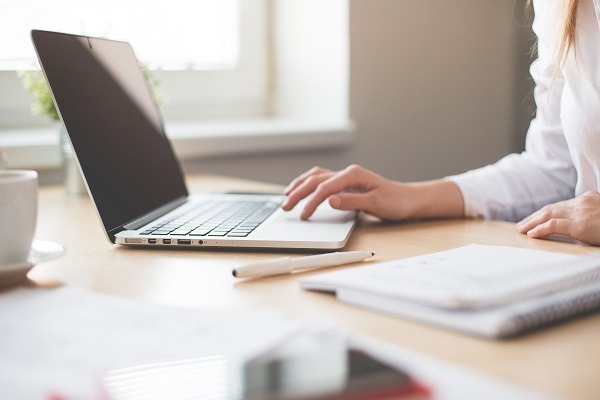 I’ve learned so much about blogging and selling digital products online over the past several years, but every business, every readership, and every product is different. You can never be quite sure if your next big project, or even if your next weekly blog post, is going to connect. That can be frustrating at times, but I’ve accepted now that this is simply a reality of my job. I no longer tie my self-worth as an entrepreneur to the outcome of my latest release. Working for yourself can be a hard gig sometimes, especially in a creative field. What helps you get through those tough days? I used to experience a lot of guilt and shame when tough days hit. Whether I felt demotivated that day, or received a nasty email, or failed to achieve my goals, I placed an incredible amount of blame on myself for not living up to my own expectations. As clichéd as the phrase might now be, self-care truly is essential as an entrepreneur (and a human). If you aren’t taking care of your physical and mental health, working as a creative will bleed you dry. I now take the time to exercise, to relax (such a hard thing when you’re self-employed! ), and to fill my creative well in ways that don’t relate to fiction writing. I’ve also been working to overhaul some of the more deep-seated mindsets that led to my taking on so much guilt and shame in the first place. One of the biggest hurdles has been accepting that balance doesn’t happen in the everyday. It’s something you cultivate over weeks or even months, shifting between priorities over time so that you can throw your whole self into what needs tending in the present moment. I don’t always work eight hours a day, I don’t always keep a daily writing practice, and I don’t always invest in my relationships and in caring for mind and body. But I make all of these things happen in the long haul, and that’s what matters most. Creative types often struggle with impostor syndrome. Is this something you've ever experienced, and if so, how have you dealt with it? All that time! It’s one of the biggest hurdles I’m still working to overcome. For example, I recently launched a Scrivener tutorial course called Storytelling With Scrivener. The launch went well and within days I received some very nice feedback. Yet in spite of this, I was sure that course members were going figure out any minute that the course was all fluff and nonsense, that I wasn’t a very good teacher at all. I can’t say that impostor syndrome is something I’ve conquered, but it’s something I now actively combat. When doubt hits hard, I take a moment to acknowledge it, tell it that it’s wrong, and replace it with a positive thought instead. And then I keep repeating that thought to myself until it begins to sink in. Fake it 'til ya make it – or, uh, believe it – right? What are the three top tips you'd give to those wishing to pursue independent careers in writing and publishing? Firstly, do your research. Creative careers are rarely, if ever, as glamorous as they seem. They involve a lot of darn hard work and, unfortunately, some distasteful realities that many creatives overlook when daydreaming about making a living from their passions. Secondly, recognise that the moment you decide to pursue a creative career, your entire relationship with your creativity changes. Writing (or drawing, painting, etc.) can still be very fulfilling when it’s your job, but it’s no longer a stress-free hobby. It’s work, and you have to treat it as such. And thirdly, let go of others’ expectations. Nothing has helped me overcome my people-pleasing tendencies like pursuing a creative career. My career choice has been disparaged by strangers and loved ones alike. My work has been beloved and hated. I’ve been called a blogging hero and a worthless fraud. At the end of the day, there’s no living up to others’ expectations. Create a business you love, find your people, and don’t look back. What's the best advice you've ever received in terms of your career? It’s easy to let impostor syndrome reign, to take your setbacks as failures, and to let all of this and more affect your self-worth as an entrepreneur. The best advice I ever received was to know and value my worth no matter where I’m at in my career. I haven’t published fiction yet. I don’t work in the publishing industry. I’m just a writer with an entrepreneurial spirit and the desire to help others achieve their best writing lives. People don’t read Well-Storied because they’re looking for an expert or a professional. They read because they’re looking for someone who’s right there with them in the trenches, writing when they can, crafting stories they love, and chasing their goals and dreams. For a long time, I didn’t recognise the value in this. I’m glad I’ve come to in time. Can you give us some insight into what’s in store for the future, in terms of both Well-Storied and your own creative writing? Yes, I’m so thrilled for the future of Well-Storied! In the past year, I feel like I’ve really come into my own as a blogger and have connected with my readership more deeply than ever. In the year to come, I plan to continue creating new writing workbooks and free email courses, but I’ll also be writing my first full-length non-fiction book (on creative writing, of course) and I hope to create an epic resource for authors looking to build their online platforms. With both familiar projects and new territory on the horizon, I can’t wait to see where the next year leads. It's near and dear to my heart, and I'm working hard to make it my publishing debut. We'd like to thank Kristen again for chatting with us! We always love connecting with others whose passion is helping people follow their passion. For more on turning your writing into a viable, sustainable creative career, check out our kickstart courses on novel writing, freelancing and self-publishing.